...have been speaking very loud to me these past few days. In a world where sin runs so rampant, where Godlessness is the norm, and where materialism is praised and pressed into the minds and hearts of not only my generation but especially the generation that is just coming of age...All I can think about is the question, "God why have you put me here?" And I'm not asking why God has chosen to put me on Earth, I'm asking, 'Why now? Why this time? This place?' Why did you bless me with parents and a good education, why did you bless me with citizenship in such a free country? Not that I'm not grateful... I am. But what will you have me do with this time, this place, this area in my life? Why was I chosen to be a part of God's kingdom for such a time as this? These are all questions that we need to wrestle with at one point or another in our ministry. We've heard these verses numerous times. NUMEROUS times, and it's because these verses are packed with so much meaning, so much power, so much truth about our role, our job, our identity, our abilities, our future, and our desires in this life and the life to come... both little parts of God's Kingdom. Because the Kingdom of Heaven is what it's really about. But we are never told to look up, stare at the sky and wait til then to start making a difference. Ministry. Our lives are not about us. "in view of God’s mercy... offer your bodies as a living sacrifice, holy and pleasing to God—this is your true and proper worship." Because the moment our lives start reflecting us, we are no longer reflecting Christ. The moment we decide that this life is actually our life and that it's time for us to get what we want... we've lost the Great Commission. We need to represent the gospel everywhere we go, in everything we do. Because we don't know... when our moment will come. We don't know if God has something big. Perhaps Christ has you in a position 'for such a time as this'. Perhaps you are in a job that you despise, but your co-workers do not know Christ. Perhaps you are at a school where you are the only Christian on campus... or at least it feels that way. Perhaps you work with Christians, you have a wonderful environment constantly surrounding you, but there's a guy who walks in looking down and gloom. Perhaps you are at a Christian college and the work load from the professors seem to be just too much. So many times we forget about the second part of that verse. God does the calling, we do the answering. Don't live a fake life. Don't live a life for yourself. We are all ministers of the Gospel of Christ if we bear His name. We need to live like it... offering our lives as living sacrifices, not conforming to this world, but renewing our mind... literally changing our mind about how we view God. I pray that this blog helps us grow in doing that... I know it does for me just posting about the different topics God has laid on my heart. But along with this idea I have an announcement to make. This past week was my first week at Ozark Christian College. I'm planning on majoring in Theology with an emphasis in preaching. Obviously I no longer have the time to devote to this blog for consistent updates, in fact this past month I've been rather inconsistent much of the time. So I've asked my good friend Kirk Curtis, who has guest posted multiple times to join me as a regular blogger. I'll still be posting whenever I can... as much as I can. But I welcome a new voice with me in this. Our styles are different, our ideas may be different, but I truly believe God has a ton of things to say through Kirk. He's been a great friend to me and has a passion for God's word that surpasses even my own. So welcome aboard Kirk, for such a time as this. My prayer has been closely associated with the premise behind Esther these past few days. God's plan will always prevail, His will makes a way, and He plans our course. I'm in the position I'm in for such a time as this. I should devote every effort of my life to preparing, to establishing, and prayerfully discerning what God would have me know. How do we know God's will? Making a commitment to His Word. Submitting to the authority of God's Word. Because when we are committing, submitting, and storing God's Word up in our lives... we're really committing to Jesus, submitting to Jesus, storing up more of Jesus. Shouldn't that be our goal as Christians? Submission is an attitude of Reverence, if we submit to the Word of God, we must also Revere it, if we Revere it, we should Love it, if we Love it, we should Memorize it. Renew your mind with scripture. Practice it. Memorize it. Know it. Because in essence you are getting to know Jesus by doing so, and the more we get to know Jesus, the more we become like Him, the more the Spirit works in our lives in ways we never could foresee. And to be perfectly honest... This post has been directed right at me. My professors are giving me memory work in loads... so I'm going to wrap this post up so I can get back to studying. As we ponder with everything, as we go about our daily lives, our struggles and our times of joy. Remember, think, discover... Is there something in your life right now that God is calling you to do? Perhaps he has placed you in those situations, 'for such a time as this'. Esther responded and saved her entire nation. That's what her response called for. I stumbled upon this post yesterday and honestly it's better than anything I could have written on the subject, so today's post is just a forwarded link. I encourage you to read Waiting Well. It's not about what you have obtained. It's not about what's in your past. Pursuing the things that are eternal. Now I don't mean that our entire lives need to be about Heaven... or maybe I do. "With every action, comment, conversation, we have the choice to invite Heaven or Hell to Earth." 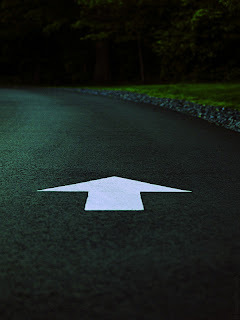 Maybe the way we live every day, every single choice we make, determines how in tune with God we are. "Why are we doing all this? Why are we Christians?" The number one response sounded something like, "So we can go to heaven and live with God." Is Christianity really that simple, THAT cut and dry? We can go to heaven and live with God. Because I believed Christianity was about God coming to live with us. There are a lot of things not right in the church these days. But this isn't a post to address all of those issues. I want to see a mental revival in the way we view ourselves, God, and what this whole Jesus thing really is. Because if our whole purpose of living is to just get somewhere else... Why live here at all? Why go through the struggles and temptations and trials of this life if our whole purpose is to press on to heaven? Jesus was born. Lived 30 years. And then... he began his ministry. Maybe because Jesus was showing us... that living is first and foremost... our job here on earth. By living 30 years, before beginning his ministry, Jesus showed us the importance of developing ourselves. Jesus was defining what made him, him. The Gospels refer to a lot of what Jesus did, what Jesus' job was, what his work was. But even before all of that, Matthew, Luke, and even John define who Jesus is in the beginning chapters of their Gospel narratives. We can't grasp the significance of who Christ is without seeing what he has done. We can't grasp the significance of what Christ has done without seeing who he is. We can't relate to an eternal God who transcends time and space if we don't take the time to feel the impact and the weight of time and space. Time is just God's way of not letting everything happen all at once. Time is God's way of letting us develop a relationship with Him, pursuing Him, loving Him, serving Him. Bringing pieces of Heaven down to earth. Showcasing God off to the entire world. Building His Kingdom, for His glory, by His grace. And isn't it significant that he uses our very lives, not necessarily our words or deeds, but who he made us to be, to accomplish just that? And so we're back to our first point: Moving forward. "Forgetting what is behind and straining toward what is ahead." In our minds we need to grasp this idea of God shaping us. Pursuing who God is making us to be. Because though our job is to live life... HOW we live matters. ...and our reaction to that understanding makes all the difference. Our past doesn't define us. Our failures don't chain us down. Our choices don't condemn us. Live a life knowing God...Really knowing him. Really straining to understand him. And you will live a life knowing who God made you to be. With all of that in mind... We don't have to give an answer of our whole life being about living with God in heaven some day, but rather living a life on earth, in the midst of evil and suffering all around us, and having the hope of knowing God, of knowing Christ, within us. We will have the hope of heaven within us, carrying it to the ends of the earth. See my review of 'Dug Down Deep' here. Hey everyone! I'm sorry for my lack of posting over the past month. I have been very busy with camps, work, and just life and haven't had the chance to put together a full length post. So I just wanted to give an update that I will get back into the groove of semi-daily and weekly postings soon. Meanwhile, 1 Peter 3:15 has been on my mind a lot. "But in your hearts revere Christ as Lord. Always be prepared to give an answer to everyone who asks you to give the reason for the hope that you have. But do this with gentleness and respect,"
I believe this verse is demanding us to know the 'why' of our faith. God doesn't need to be defended. But he needs to be shown. Not that he needs US to be the ones who show Him. But He desires us to. 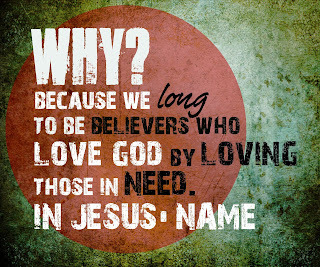 We need to LONG to be believers who love God by loving those in need. In Jesus' Name. Because if what we have really is this great joy, this great hope, and we truly own it. It's ours. It's our hope. Our joy. Our faith. Then, we need to live it. And living and loving are one in the same when you live in Christ Jesus. 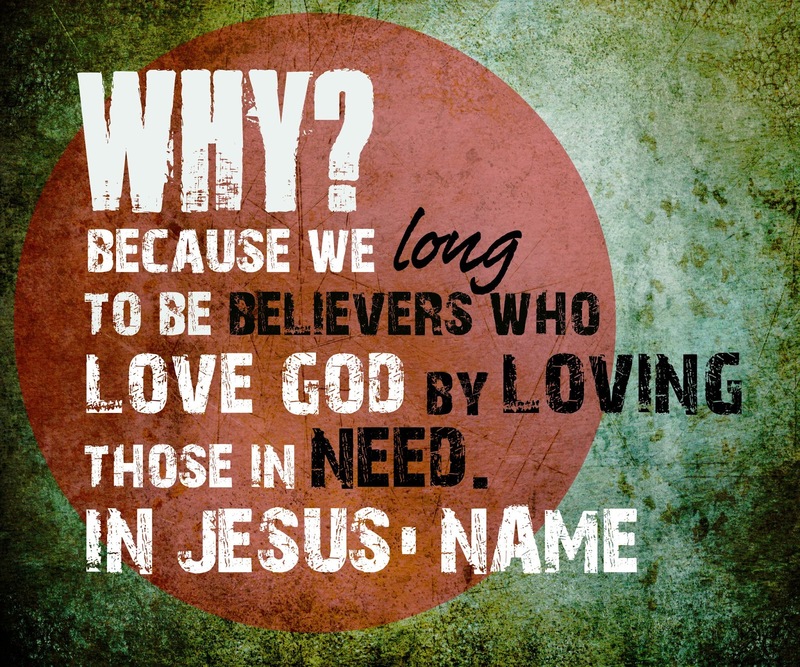 How can we love God BY loving others...Daily? Hourly? God isn't looking for perfectionists. He doesn't desire the scheduled successful people. He's looking for available people. Set apart Christ as LORD. Declare Him to be in charge and have sovereignty over your life. Because if God is calling you to something... it will always be something that will be loving toward others. That's the real hope we can have. Knowing that He doesn't let go of us in our time of need, and he doesn't let go of us in our time of longing to help others in need.